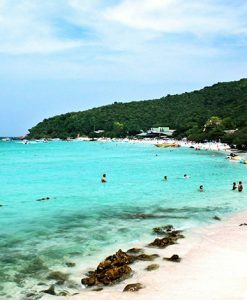 Of course holidaying on the island has to be full of activities that is why Coral Islands which is located South of Phuket stands out among Islands in Phuket. 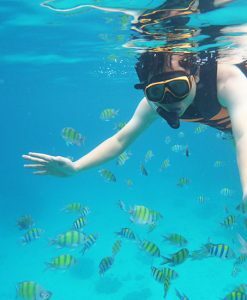 A full day trip to Coral Island will give you memorable experience of both water and land activities. 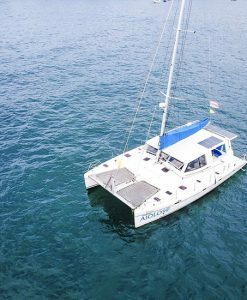 Lots of sporting activities to indulge in with various voyagers like you. 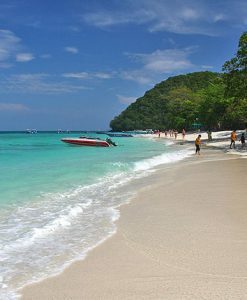 A Coral Island tour is believed to be the number one snorkeling and water sport destination in Phuket which is why the Island still remains unchallenged when it comes to offering clients a holiday on the Island filled with sporting activities. To add icing to the cake, the speedboat threat is also available at Coral Island, the speedboat trip is 10/15 minutes to the Island. 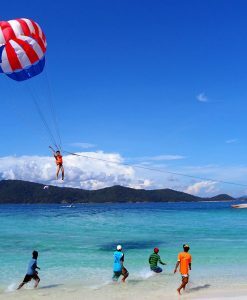 Coral Island is an holiday destination for the sport lovers, land and water lovers. 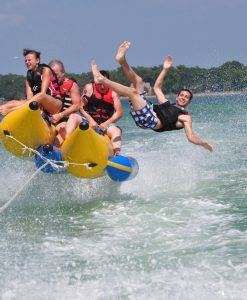 A full day trip includes lot of water activities; from snorkeling to parasailing to sea walking and many more. The water is clean, healthy and conducive to play with. 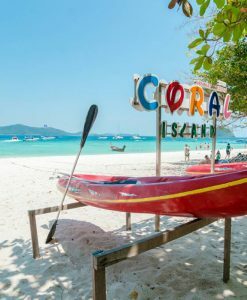 You can enjoy a full day Coral Island tour with speedboat, touching every place on the island, while spending the warm afternoon parasailing, sea walking or involving in other water activities. We take care of your transportation back and forth your accomodation, providing security while touring round the Island. You can start your day with either coffee or tea and have some water as the sun warms up the island, Coral Island is really fun to be, all you need to have a memory filled holiday on the island are your swimsuit, a light top, camera, towel and budget money in case of miscellaneous expenses then leave the rest to us. We have saddled our self with the responsibility of making your time on Coral Island count and you can be rest assured that after eating, having a drink and indulging in the various sporting activities we have set up for you, Coral Island tour will forever remain a tour memory you cherish and you would wish to come back again.